"Leave Monte Carlo, to see the Ionian and Adriatic waters mingling at Santa Maria di Leuca - where exquisite natural caves arch over glowing turquoise waters. 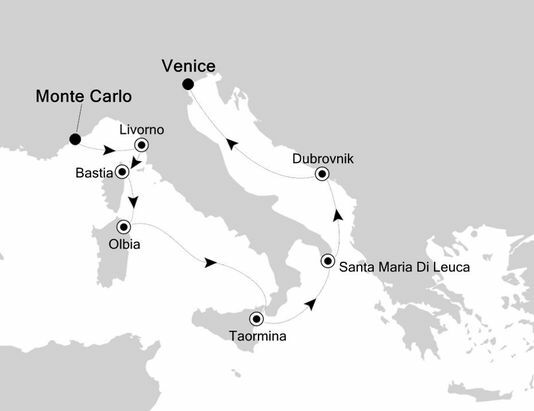 You’ll also drop in on Corsica and Sardinia - and see the godfather of Italian destinations at Sicily - before this luxurious jaunt comes to a fitting climax on the otherworldly waterways, and charming backstreets of Venice." 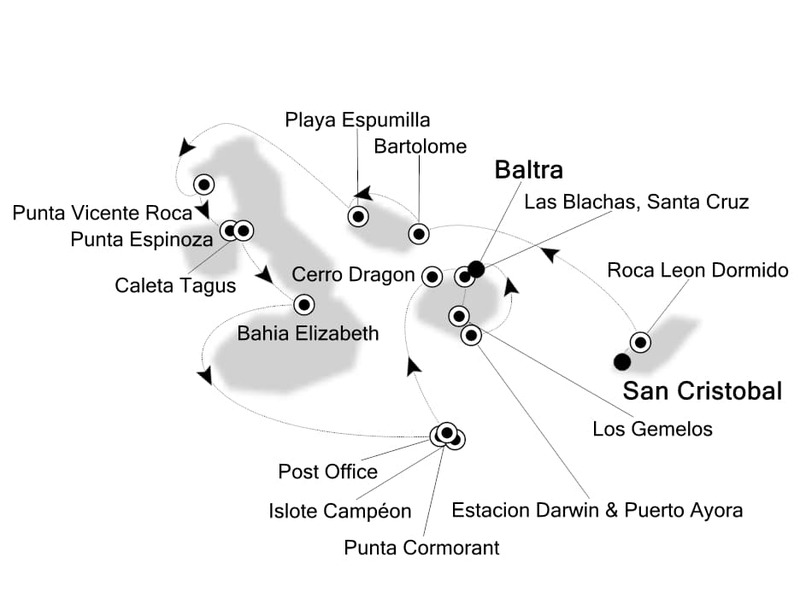 "A Galápagos expedition cruise, enjoyed aboard Silver Galapagos, brings you to one of the most isolated places in the world to encounter an abundant variety of wildlife species that is incredibly unique and found nowhere else on earth. Lying just off the western coast of South America, the Galápagos archipelago is inaccessible to most, yet this isolation has allowed nature to develop in ways exclusive to the islands. Experience it all with complimentary exploration activities including Zodiac tours, snorkeling, kayaking and nature hikes led by our highly experienced guides certified by the National Park of the Galápagos."